The most prestigious event in Kentucky’s calendar is also one of its most thrilling. 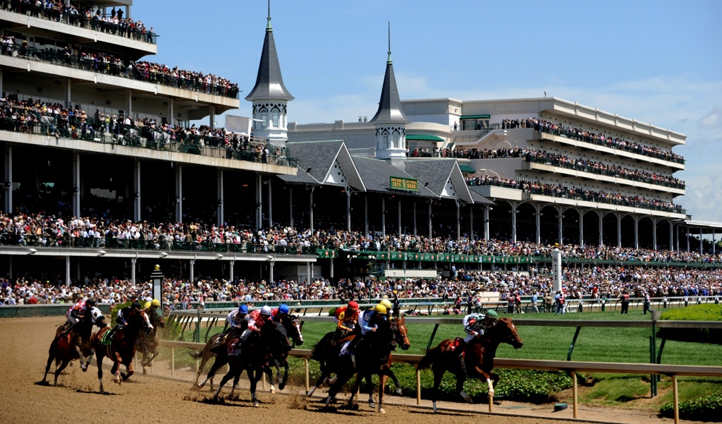 Even if you’re not a gambler, the electric excitement around Kentucky’s world famous Derby is considered a once-in-a-lifetime experience. While the thoroughbreds thunder down the track, the whole of Louisville comes alive to celebrate; it’s like Kentucky’s own version of Marti Gras. Here’s what to expect from Derby Day. Since 1875, come rain or shine, through World Wars and stock market crashes, the Kentucky Derby has presided over the world of horse racing, making it the longest continually-held sporting event in the world. Be sure to soak up the heritage as you watch the equestrian elite race it out. The thundering hoofs and the thrill of seeing the finest equestrian sportsman in action has meant the Derby has been hailed as “The Most Exciting Two Minutes in Sports”. So sports fans will not leave disappointed. And who knows? You might get to see another Secretariat (the greatest race horse of all time and the winner of the 1973 Derby) in the making. Mint juleps are the order of the day at the Derby, as is the correct attire. The crowds here go all-out for Derby Day so make sure to don your finest racing threads to mingle with your fellow race-goers. And ladies, don’t forget your best (and biggest) racing hat. It’s worth swotting-up on the lyrics to ‘My Old Kentucky Home’; the final tradition of the day is always a mass singing of this Bluegrass state classic to celebrate. After all, there’s nothing like the comradery of sharing an old tune together, so warm-up those vocal chords and join in.